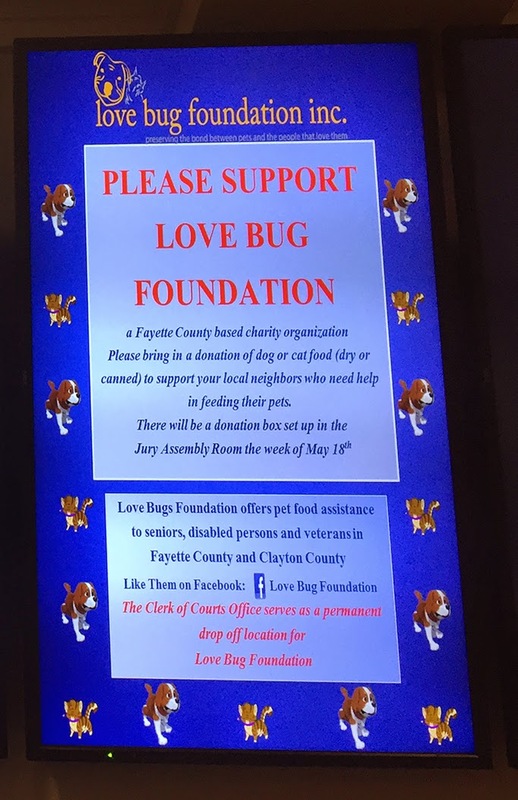 New pet food drop off location: Fayette County Clerk of Courts office | love bug foundation inc.
Great news for those in Fayette County interested in donating to our pet food assistance program . . . 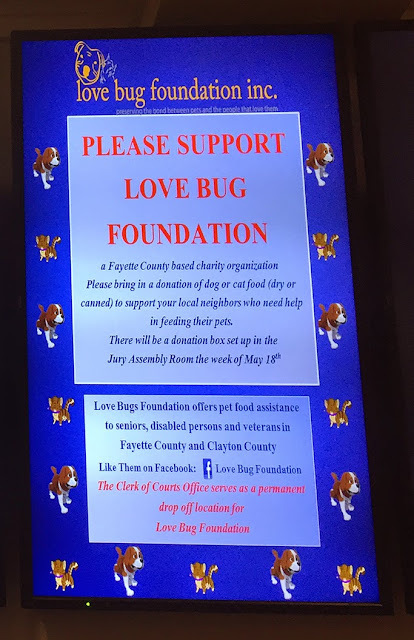 The Fayette County Clerk of Courts office is now a permanent pet food drop off location for the love bug foundation. Both dog and cat food can be dropped off at the Clerk's office during normal business hours of 9AM to 5PM Monday through Friday. If you happen to be visiting the courthouse take a look at the monitors - there is a great announcement letting people know about us. Thank you to all who made this happen :-).